This must be blasphemous for a blogger to write, but I don't really like scented candles. When I have them at home, I rarely think to light them, so they get really dusty and just take up space. I've recently moved flat, to a smaller place, so space is a precious commodity I don't have. I am, however, partial to a good room spray. A good room spray. Not one of those horrible supermarket sprays that smells primarily of chemicals. 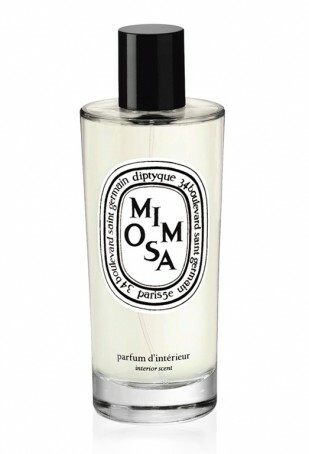 My favourite is Mimosa by Diptyque. I bought it at the Space NK in Harvey Nichols because it smells like summer in my grandparents' garden at their old house in Modesto, CA. I smell it and I can see my sisters running in the dark through the orange trees, chasing fire flies. Summer is short and usually disappointing in Glasgow (though this year has been an exception) but having this spray gives me summer in my flat all year round.